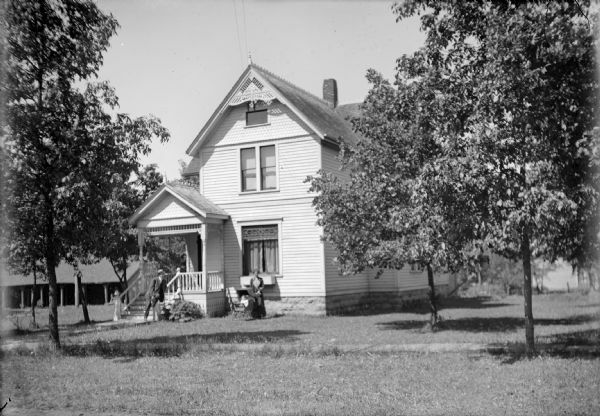 View across front lawn of family posed in yard of house located on S. 3rd Street. Otto Ansorge leans on the bannister of his front porch. An unidentified woman (probably his wife) stands in front of the house's front window besides a baby sitting in a stroller. There are trees in the yard, and a board sidewalk in front of the house. Behind the house on the left is a shed or garage.